dip celebrates how humans find each other in a world of increasing isolation. Jonah, Oliver and Max cross paths and decide to embark on a quest to know and learn about each other, what challenges them and what brings them together. By doing so they will give a new life to everyday objects and use conventional instruments in unusual ways. Expect light-hearted, breath-taking, air-twisting tricks and funky tunes. With a good dose of humour and a poetic touch, ‘dip’ interrogates relationships in society today and explores themes of cooperation, acceptance and serendipity. dip is a show for all ages and families to enjoy an experience together. ‘dip’ is specifically created and devised to be performed in public spaces and for outdoor programming, it offers a highly visual and sonic experience; imaginative and quirky; up-tempo and light-hearted. With a poetic touch, dip explores themes of cooperation, acceptance and serendipity. dip , combines high skilled trampoline acrobatics and live music (brass, electronic and percussion instruments) dip is inspired by how we find each other, objects we find daily and how we can make creative and fun use of waste, as well as interrogating relationships in a society of over-consumption. Max Calaf Sevé is a contemporary circus company based in London. 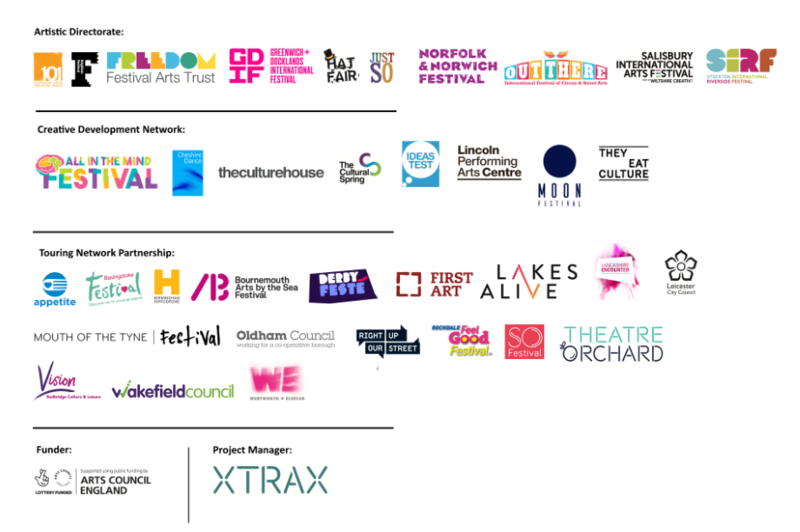 Collaborating with other artists such as musicians, writers and visual artists, the company creates indoor and outdoor performances touring in the UK and across Europe. 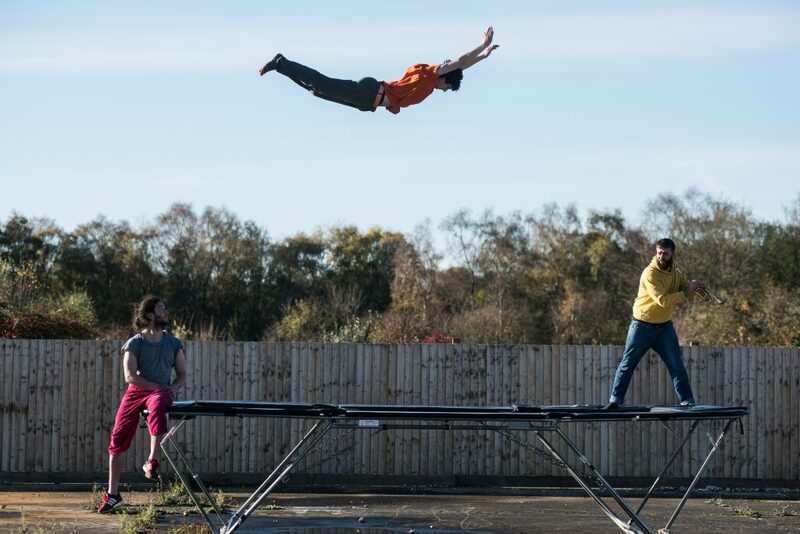 The main skill is the trampoline, combined with object manipulation and physical theatre to create an interdisciplinary aesthetic. The company is embarking on a new venture: expanding the members of the cast by collaborating with Oliver and Jonah and increasing the diversity of skills, ranging from acrobatics to music and dance. Our points of encounter present us with a great opportunity to make a unique, exciting and vibrant piece of work. Co-commissioned by Without Walls, Out There International Festival of Circus and Street Arts, Salisbury International Arts Festival and Hat Fair.